In this post, let’s take a look at the top 10 frameworks to create next-level Node.Js application development. Depending upon the functionality we have categories these frameworks which will simplify the understanding for the node js developer. Mostly recognized as another quarter of the MEAN (MongoDB, Express, AngularJS, and Node) software stack, this is the one of the lightweight and efficient middleware framework. The Express framework holds the capacity to develop an HTTP server in Node, allowing function like layering in the middleware structure and request functions that make a website run. This minimalist framework offers great built-in web application features to the developers. However, it requires a bit more manual tasks, which is time-consuming. Also, it has a bit larger footprint than other frameworks. Are you looking for enterprise-level functionality? Annoyed with team unbalanced coordination? In this case, Hapi.js is recommended option. This is a rich framework for building applications and services. Hapi helps developers to write reusable application logic rather wasting time in building infrastructure. Moreover, Hapi’s plug-in system helps to work section-wise, without breaking the rest of the code base. Well, template-driven MVC frameworks provide an ideal option, if development requires extra upfront support. With this framework incorporating features like stability in enterprise-size projects. Sails.js is based on MVC micro framework, is considered the best option for data-heavy enterprise-grade apps. Based on Express and Socket.IO MVC pattern, it is an excellent option to write data-oriented applications and real-time features like a chat application. C) This category, full-stack MVC Frameworks offers all features required to build Real-time Apps. This is an excellent framework, which allows developers to build applications that have reactive, real-time UIs. Full-stack frameworks help in each and every step of application development. You can use lots of Templates, Libraries, And Plenty Of Scaffolding, from middleware and UIs to APIs and database integration. This framework is an open source REST and real-time API layer which is best option to develop modern applications. feathers is a real-time, micro-service web framework for Node.js. Using the RESTful resources, sockets, and flexible plug-ins, this framework enables you to have control over your data. In the Node environment, this framework is ideal as it enables writing real-time collaboration applications. The collaboration hinges on two things: support of multiple users, and the ability to immediately sync up data across all fronts and this DerbyJS is compatible for both. D) This framework holds Restful API For Cranking Out Node.Js-powered API Servers. LoopBack or StrongLoop is a highly extensible Node.js API framework. LoopBack APIs offers the capability to connect devices, and further integrate with Android and AngularJS SDKs for development of the app. In order to offer compatibility with the database, it supports Oracle, Mongo, and SQL. As this framework is API-driven, it is an outstanding option for fast development of Node.js. Actionhero.js is a fast, lightweight API server for Node.js. This API server can be scaled with logic and can be reused when you need and is compatible with one another. Moreover, it also supports your existing apps. It uses the same API code for HTTP along with the socket transports, allowing clients to access the API. This means you can access any static data on the server, and also communicate with one another. If a developer is looking for real-time communication and chat apps, then Socket.io is an ideal framework. The software used can hinges on robust event-driven, enabling bi-directional communication between browsers and servers. Moreover, this framework is compatible with every device, operating system, and browser. With the increasing demand for more better technology, web development company, also need the improved Node.js ecosystem. 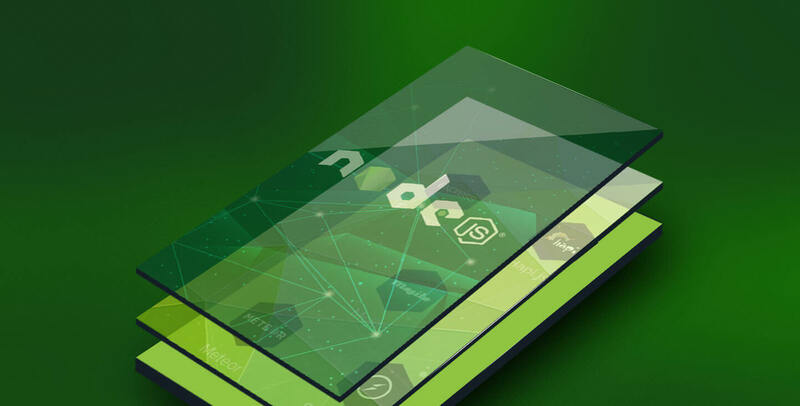 However, this framework has its own pros and cons, hence, it necessary for the node js developer to take into account the capabilities that nodejs framework can offer to your development process. Moreover, you must understand the usage of other back-end languages like PHP, Java, and back-end scripts like Python and Ruby before getting started on any project. NEXT POST Social Media App Technology Stack: How Do You Develop a Social App?